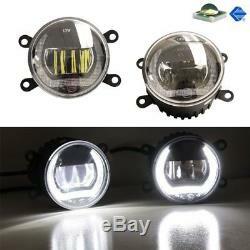 20W 3.5 CREE LED DRL & Fog Lamps For Acura Honda Nissan Infiniti Subaru Ford. This page features one pair of the newly designed high powered CREE LED fog lamps with horseshoe shape LED daytime running light features that are inspired by Sylvania LEDriving. Unlike Osram Sylvania LEDriving that only turn on either the DRL or the fog light mode, we have improved ours so you can enable both LED daytime running lights and fog lights at the same time! The result is an even brighter shine that will make heads turn and jaws drop. 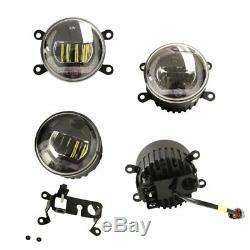 These LED fog lamps/DRL lights come with a set of detachable brackets so that they are an exact OEM fog lamp replacement for the following cars. Acura/Honda vehicles using OEM parts# 33900-T0A-A01, 33900STKA11 (Partslink#AC2592111). FIAT 500 (Does not fit ABARTH), using OEM # 5182426AA. Jaguar vehicles using OEM part#XR837532. Nissan vehicles using OEM part#26154-EA500 84501AJ00A. Porsche Cayenne using OEM # 95563116300. Subaru vehicles using OEM part#H451SAJ100. Suzuki vehicles using OEM part#990E0-65J36-000. 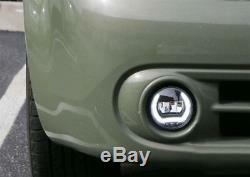 Some Land Rover fog lights. Infiniti vehicles using OEM part#261508993B. Nissan vehicles using OEM part#261508993B. 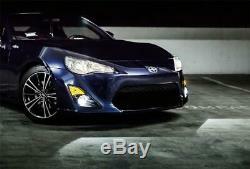 Powered by 4 CREE LED lights (2 for daytime running lights, and 2 for fog lights). Special designed optical lens inside to form a perfect cut-off line. 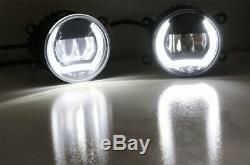 Popular horseshoe shape LED daytime running light. Come with detachable brackets, make it OEM replacement for any cars such as Acura, Honda, Ford, Subaru, Toyota, Nissan, Infiniti, etc. Popular 3.5 (89mm) diameter, make it universal fit for many other cars as well. 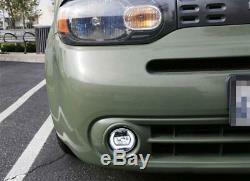 Install the 2 metal pins with the fog light harness and plug it into the LED fog light adapter. Tap the red wire to ACC 12V+ to enable the U-shape horseshoe LED DRL function. If there is an additional black wire, tap it to ground. You can tap the optional wire to either the fog light + or headlight + to turn off the LED DRL when the fog lights turn on. 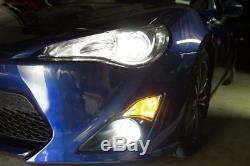 Horseshoe Shape LED Daytime Running Lights/LED Fog Lights (youtu. IJDMTOY (MotoringMax) was founded in 2004 and has since become one of the largest automotive LED lighting retailers in the United States. We are located in Los Angeles, California and carry the most complete LED lights and accessories for all the cars and trucks. And we will do our best to assist you. Your satisfaction is our utmost concern! We are not responsible for international duty or custom charge. California Proposition 65 Warning: This product might contain chemicals Lead and expose to Lead which is known to the State of California to cause birth defects or other reproductive harm. The item "20W 3.5 CREE LED DRL & Fog Lamps For Acura Honda Nissan Infiniti Subaru Ford" is in sale since Friday, February 20, 2015.